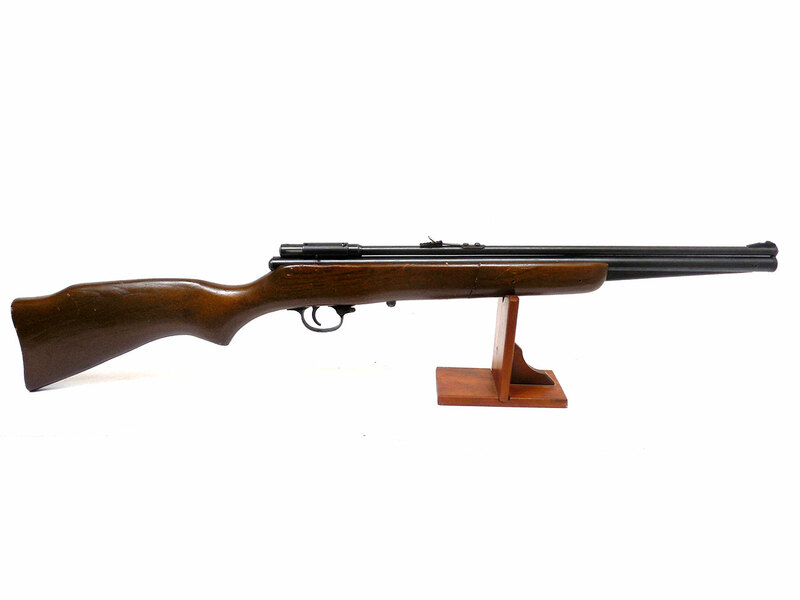 The Crosman 147 is similar to the Crosman 140, but is a .177 caliber, and more rare. This is a 2nd variant which was manufactured between 1956 and 1962 with no spoon handle breech cover. 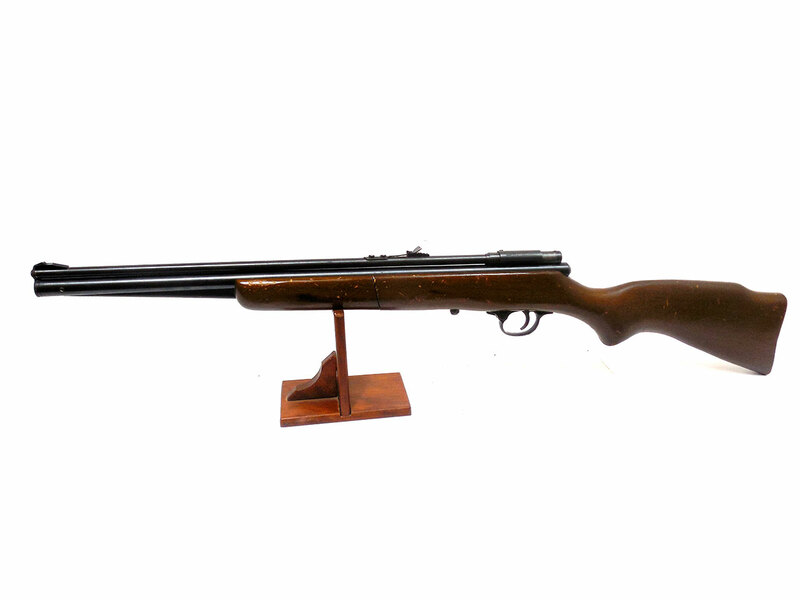 It’s a single shot, bolt action, multi-pump pneumatic air rifle with manual safety. 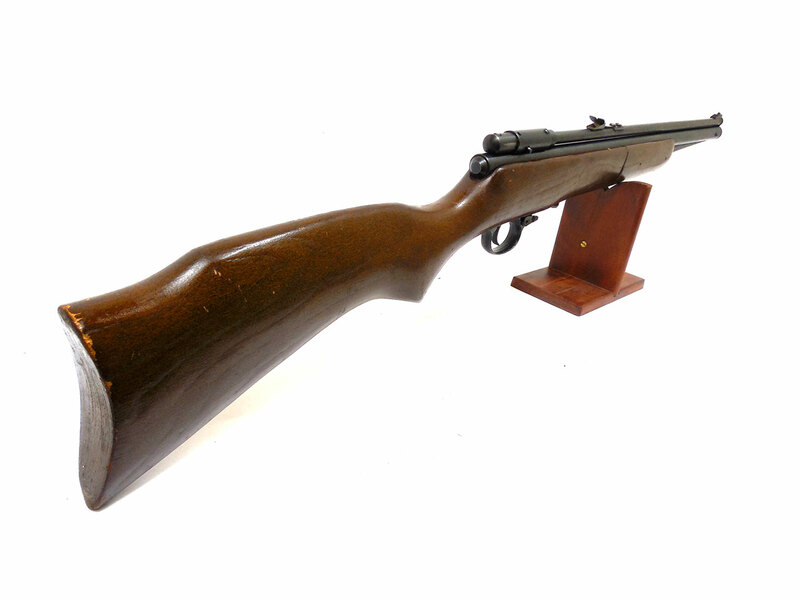 The wood stock has quite a bit of general wear but is in solid condition. The metal on this gun retains about 90% of the original finish. It’s been cleaned, lubed, and resealed in our shop. We tested the velocity using lead pellets at around 615 fps.